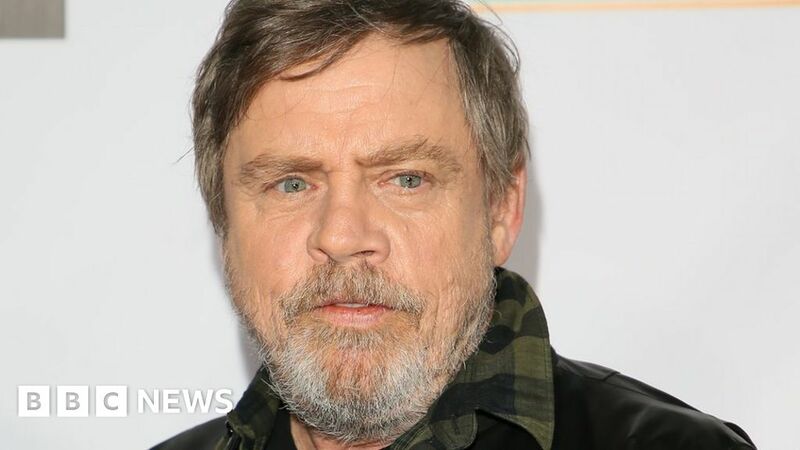 He’s going to the Oscars for the first time in four decades – but Star Wars’ Mark Hamill says he’d rather be watching the ceremony in his pyjamas. Hamill – Luke Skywalker in the films – last attended in 1978 when Star Wars: A New Hope was up for best picture. Speaking at the Oscar Wilde Awards, where he was being honoured, he said it was “much more fun” to watch from home. Hamill, presenting an Oscar on Sunday, said he hopes the ceremony is “fun and light-hearted”. He was speaking at the so-called Irish Oscars, where he was one of the honorees, along with Dunkirk actor Barry Keoghan, Home Alone and Schitt’s Creek star Catherine O’Hara and Ray Donovan actress Paula Malcomson. In what could be a politically-charged year for the Oscars, Hamill hopes the ceremony gives people a chance to have fun. “I hope it’s fun and light-hearted, you know?,” he said. “Sometimes it’s shaded by causes and politics but I think it’s a good time for everyone to just relax and enjoy themselves. I know that’s what I’ll do. Hamill will be presenting best animated short at the Hollywood ceremony. His final Star Wars film, The Last Jedi, is nominated for four awards at Sunday’s 90th Academy Awards, including best original score. The Oscar Wildes are hosted by JJ Abrams, who produced The Force Awakens and is writing, producing and directing the as-year-unnamed Star Wars: Episode IX. The awards are organised by the US-Ireland alliance to celebrate Irish contributions to the industry. Abrams introduced Hamill at the ceremony, held at his Bad Robot production company in Santa Monica, saying he was “a joy to work with”. They filmed Hamill’s scenes for the film in Ireland, with the actor saying it had been a multimillion pound boost for Irish tourism and that he liked the fact people made pilgrimages to see where it was shot. Colin Farrell, who co-stars with Keoghan in The Killing of a Sacred Deer, praised the young actor for his recent work including Dunkirk, saying he was the “heart and soul” of the film. Keoghan had made it on the last flight out of Ireland before the snowstorm hit. Other guests included Andy Serkis, Aisling Bea and Patsy Palmer.